Press | Mercy Beam by Convergent R.N.R. The “Mercy Beam™” (www.mercybeam.com) introduces a sophisticated lens that collects most of the X-rays emanating divergently out of any standard x-ray tube (currently used for x-ray imaging) and converges it towards the tumor location. The lens simultaneously removes low-energy photons that would be absorbed by the patient’s skin. The convergence increases the therapeutic dose delivered at the tumor location, while the organs in the vicinity of the tumor receive a very low dose or no dose at all. 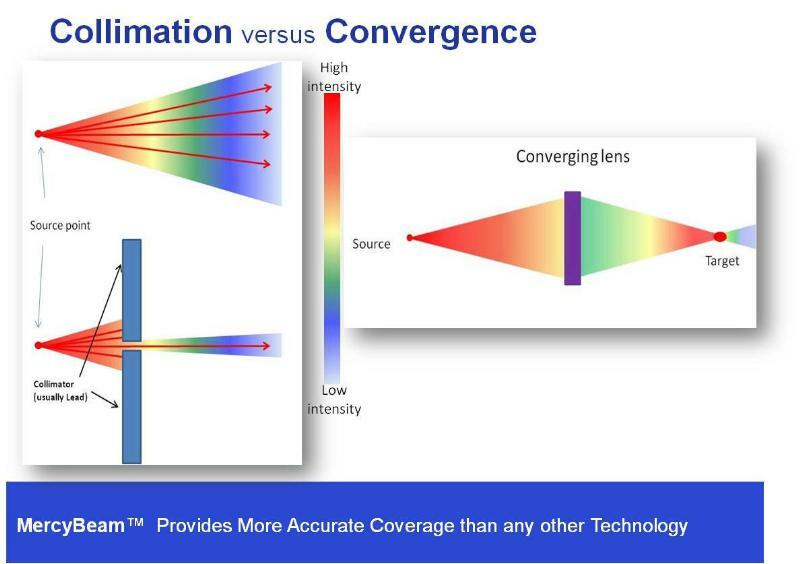 The converging technology enables the use of photon-energy x-rays 100 times lower than those used by current systems which are based on Linear Accelerators (LINACs). Due to its low energy requirement, this technology enables a small, light and inexpensive solution in which the cancer is treated accurately with a concentrated radiation at a fraction of the cost of all other methods. Delivering better, safer, more accurate radiotherapy treatment to everyone, everywhere! Convergent Radiotherapy and Radio Surgery (CRnR) Ltd. is a medical start-up company developing a new x-ray focusing technology called MercyBeam™. © Copyright 2014 by CRnR. All Rights Reserved. Created with ♥ by Webyarok Webdesign. Social Media & Promotion by The Social Fairy.